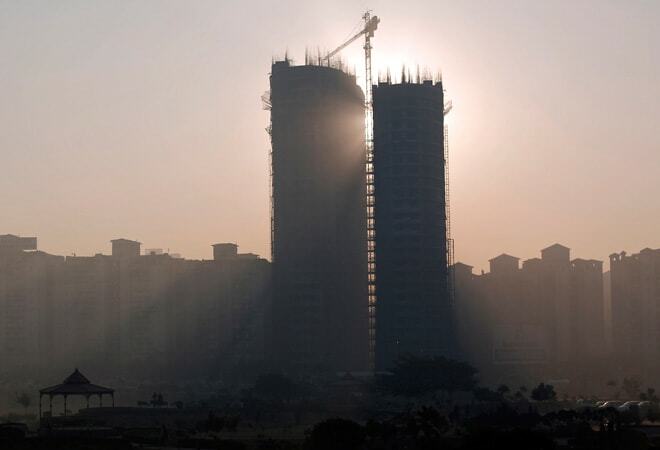 After reeling under the combined pressures of low sales, project delays and declining prices during the previous year, 2014 brought along a ray of hope for the realty sector. After reeling under the combined pressures of low sales, project delays and declining prices during the previous year, 2014 brought along a ray of hope for the much-battered, much-maligned real estate sector. Chief among the positive events of the year was when the Narendra Modi-led NDA government came to power with full majority. It pumped the investor confidence, who were following a wait-and-watch policy on account of the political uncertainty in the country. The government has came out with certain regulations, the impact of which may only be seen next year. But as of now, the situation looks grim as far as the residential sector is concerned. Residential sector witnessed poor sales and dragged down prices. As per data by Liases Foras, a Mumbai-based research firm, as on September, it will take about 50 months to clear the inventory in the six major markets: Bengaluru, Chennai, Pune, Hyderabad, Mumbai Metropolitan Region or MMR and Delhi-National Capital Region or Delhi-NCR. The situation is the worst in Delhi-NCR, where the period is 83 months or seven years. The figure is 50 for MMR and Chennai, with Pune being the lowest at 23 months. What is even more worrying is the declining sales figure. Even the festive season, which generally sees more people buying homes, witnessed poor sales. "The key issue is low demand. Even though the sentiment is up, enquiries are not converting into sales. Builders are delaying the launch of new projects," says Prashan Agarwal, co-founder, proptiger.com. Four out of the six cities mentioned above saw sales fall year-on-year (y-o-y) in the July-September quarter, as per Liases Foras. Chennai saw the highest drop of 50%. The next was NCR, where sales fell 45%. The exception was MMR, where sales rose 30%, and Pune, where sales rose 65%. This is reflected in new launches, which fell 61% during the quarter. Another issue that has dampened buyer sentiment is project delays. As per Liases Foras, 60% projects that are marketable in Delhi-NCR have been delayed by at least one year. As the economy improves, the demand for commercial space will rise, according to the experts. "A gradual turnaround can be seen in this space, which can be attributed to the fact that commercial real estate developers began to strategically reduce the incoming supply to a new-normal level of occupier demand in the range of 27 to 30 million square feet each year. This helped bring down the vacancy rate to 17% from more than 18.5% just a year ago," says Anuj Puri, Chairman & Country Head, Jones lang Lasalle India. The absorption rate has improved already in major cities, especially in Bangalore. "Net office space absorption rose 16% in Ahmedabad, Chennai, Hyderabad, Mumbai, Bangalore, Delhi-NCR and Pune," says Vineet Singh, business head, 99acres.com. Puri of JLL added: "Interestingly, while office real estate have not recovered fully from the fall in prices after the 2008 financial crisis unlike the residential sector, there is significant room for upside in the event of a positive change in business sentiment. In fact, such an improvement was already seen after the general elections and is already reflecting in year-end office market leases. The trend of moderate-to-healthy leasing activity will continue in 2015." Some of the power-packed reforms announced by the newly-elected government, discussed below, will help in bringing out the sector of the slump, believe the experts. In order to improve the liquidity conditions, foreign direct investment (FDI) norms were relaxed. The built-up area limit for FDI investment was reduced from 50,000 sq. m to 20,000 sq. m while the minimum capitalisation was reduced from $10 million to $5 million. The government allowed 100% FDI under automatic route to invest in completed assets. Also, the 3-year lock-in period was removed to allow investors to exit on the completion of the project or the completion of support infrastructure like connecting roads, street lights, sewerage etc. "The elimination of the lock-in is the most notable modification. Annual private equity inflows, $1-1.5 billion per annum over the last few years, could double in the next two years due to this," says Ramesh Nair, COO, Business & International Director, JLL India. Green signal given to Real Estate Investment Trusts (REIT) was one of the significant reforms announced by the government in 2014. REITs work like mutual funds and invest in property. The income earned from these investments is distributed among unit holders. This is likely to provide access to cheap funds to the developer but will also give small investors an option to invest in the real estate sector which was impossible for them to do due to big ticket investment requirements. The minimum investment for buying a unit of REIT will be Rs 2 lakh. With stringent regulations in place, they will also ensure protection of consumer rights. The declining rate of inflation has raised hopes for rate cuts. The Wholesale Price Index* was zero in November. The fall in interest rates may encourage the potential buyers to take home loan to finally take the plunge. Along with this, the increased deduction limit on home loan interest from Rs 1.5 lakh to Rs 2 lakh from this year will provide incentive to home loan takers. The real estate demand will also depend on the recovery in the economic activity which experts believe is likely to pick up in the next financial year. The central bank has estimated a GDP of 6.5% for the financial year 2015-16 compared to current fiscal year's 5.3%. The government has also shown its inclination to support the ailing sector. However, experts believe that the real estate market of India in its current form is far from ideal and lot more has to be done. "From the builder's perspective, the major challenges include land acquisition, project approval process, industry status to the sector, shortage of skilled labour, lack of adequate sources of finance, rising manpower and material costs, amongst others. ", says Sumit Jain, co-founder & CEO, commonfloor.com. Also, the lack of a sector regulator continues to pose a challenge to the sector. The Real Estate Regulation Bill wasn't passed in the current winter session. In the absence of a regulator, real estate investors will continue to face issues like delay in projects, fraudulent schemes offered by developers, less disclosures etc.